2016 has come upon us and along with welcoming 2016, many have made new year’s resolutions. While there are good intentions behind them, after a few months or even a few weeks for some these fall by the wayside. 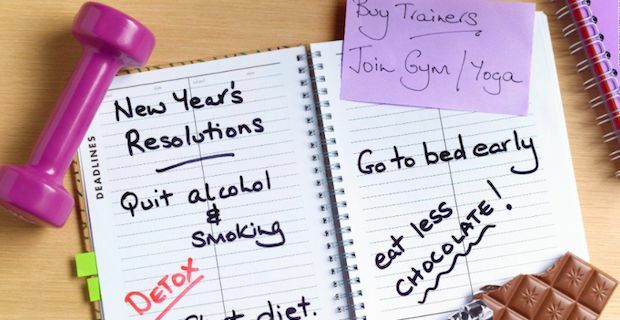 Here are tips on how to stay on track with your resolutions this year! 1. Make One Change at a Time. Often people make numerous resolutions at the beginning of the year such as losing weight and getting fit, quitting smoking or spending time with family. But the problem is when you try and make too many changes at one time. It can be hard enough keeping one resolution let alone 3 or 4. Try one at a time and go from there. 2. Be realistic and break it down. When making your list of resolutions, make sure that they are attainable. If you are thinking about losing 20 pounds over the year, break it down and aim to lose a few pounds a month. Maybe stop eating late at night, walk instead of taking the elevator, and be more conscious of the food you are putting in your body. 3. Talk about it and share it with others. Share your resolutions with friends and family as they can often help you stay on track and support you in any way they can. Better yet, if you have a friend that has similar goals, talk with them and keep each other accountant. 4. Reward yourself. Resolutions are hard to keep and it is just as important to reward yourself for all the hard work you have put in. Make sure though that the reward you give yourself does not go against your resolution. For example, if your resolution is that you are giving up chocolate for the year, don’t reward yourself with a big bar of chocolate. 5. Track your progress. One way to keep yourself motivated is by tracking your progress and seeing how far you have come. It is important to visually see where you have been and where you aim to be. 6. Last but not least is, take it one day at a time. There are going to be days that you fail but don’t let that discourage you. Rather take it one day at a time and remember that tomorrow is a new day that gives you a fresh new start.